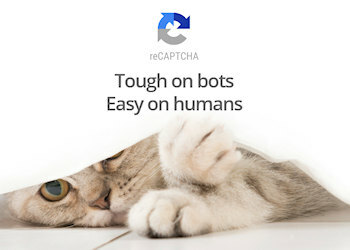 The Invisible reCaptcha extension integrates the new Invisible reCAPTCHA by Google with your WYSIWYG Web Builder site. Google has recently introduced a new update to their reCAPTCHA service called the Invisible reCAPTCHA. It's based on the same technology as the previous version (the “no captcha reCAPTCHA”), but simplifies the process to remove even the checkbox step. Human users will be let through without seeing the "I'm not a robot" checkbox, while suspicious ones and bots still have to solve the challenges. You can download the new extension via the Extension Manager (Menu->Tools->Extension Manager->Online Gallery->Forms).